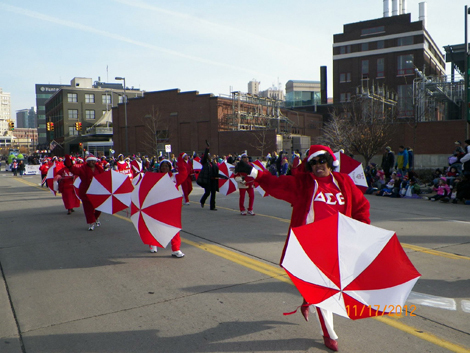 Since its founding in 1913, Delta Sigma Theta Sorority, Inc. has distinguished itself as a public service organization that boldly confronts the challenges of African Americans and hence, all Americans. Over the years, a wide range of programs addressing education, health, international involvement and the strengthening of the African American family have evolved. In realizing its mission, Delta Sigma Theta provides an extensive array of public service initiatives through its Five Point Programmatic Thrust of Economic Development, Educational Development, International Awareness, Physical and Mental Health, and Political Awareness and Involvement. 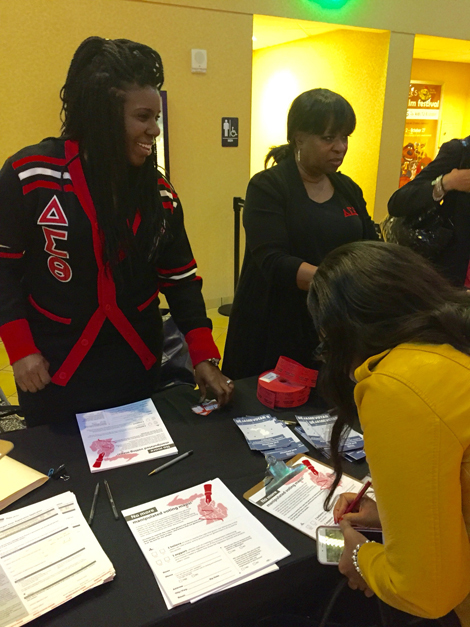 National economic trends, such as unstable employment, the threat to Social Security as we know it, and the widening gap between wealth and poverty are the basis for the development of the Financial Fortitude, the current Economic Development Program Initiative of Delta Sigma Theta Sorority. Financial Fortitude is a process that will help program participants to set and define goals, develop a plan to achieve them, and to put the plan into action. The process serves as a blueprint to address all aspects of personal finance. We conduct financial workshops for chapter members. Topics include financial and debt management, home ownership, insurance, estate plans and retirement plans. The Dr. Betty Shabazz Academy provides educational programs for at-risk young women between the ages of 11-14. If offers mentoring, e-service and educational learning opportunities to its participants. Our major emphasis is on science, leadership, technology and cultural enrichment to help young women excel in these areas. Summit VI: Health Issues that Impact Women of African Descent is a national program designed to heighten awareness of the increasing incidence and mortality rates of diabetes, heart disease and obesity among African American women. Locally, the chapter has conducted a healthy living health fair which includes comprehensive screening programs, weight loss seminars, and workshops on diabetes prevention and management. This committee is actively involved in establishing initiatives focusing on the African Diaspora. Nationally, the sorority's main International programs are the Mary Help of the Sick Mission Hospital, the Cherette School in Haiti, among other initiatives. Our chapter, in collaboration with the Grand Rapids Rotary, collected books that were shipped to Ghana. The chapter also conducted a sew-a-thon to make dresses for Haitian children who were in need after the hurricane devastated the island. Our major emphasis is voter registration and legislation affecting health, education, childcare and international issues. This committee provides pertinent legislative updates to chapter members and community groups, as well as information on public policy and civil rights activities. It keeps abreast of the annual National Social Action Commission Plan and identifies projects for chapter implementation.